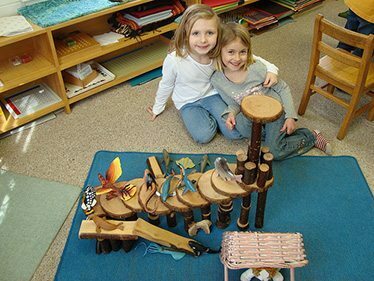 “Sending our daughter to The Phoenix Montessori School has been one of the best decisions we ever made as parents . In the last two years our daughter has blossomed socially, academically and personally. Our “shy” child has turned into quite the extrovert, she is reading beautifully and loves math. But most importantly she is full of confidence and loves going to school. I think one of the secrets to The Phoenix Montessori School’s success is the unique way the staff interacts with the children. Each child’s ideas and observations are given careful and thoughtful consideration. And that respect is reflected back in the students behavior toward the teachers and each other. The classroom is never rowdy and chaotic. When you walk in the students are very busy on individual or group learning projects. It may not always be quiet but it is always peaceful and conducive to learning. The students take their “jobs” and themselves very seriously. That is not to say they do not have fun and lots of laughs.